Succinic acid. Proved in the experiment - succinic acid prolongs life. In Western countries, the coenzyme Q10 is very popular. In some experiments, coenzyme Q10 has shown the ability to express prolonged life and prevent many diseases. But here that is interesting; There is a drug that plays in the body a role similar to coenzyme Q10. It is also, and perhaps more effective, at a price that is about 10 times cheaper. It's succinic acid. Perhaps, it is because of such a low price that amber acid is not promoted to the market. Succinic acid is a natural substance - it is present in all organisms. Has a powerful healing effect, without causing side effects and addiction. There are many reasons for this, but there are basic reasons. 1. Succinic acid stimulates the production of energy in cells. With age, in addition to other disorders, the cells of the body begin to lose the ability to generate energy. As a consequence, the body does not have enough for the normal provision of many functions, and this leads to the aging of the body and rapid aging. The compound that gives energy is ATP (adenosine triphosphate). Succinic acid helps to produce ATP. As a consequence, succinic acid is a powerful stimulator of energy production and a stimulator of many functions of the body, has an exceptional reducing power. 2. Succinic acid enhances cellular respiration, promotes the assimilation of oxygen by cells. For example, the increase in the rate of oxygen consumption by liver cells with the addition of succinic acid is increased by 60 times. 3. Succinic acid detoxifies free radicals. Has a powerful antioxidant property. As it was said more than once, in the process of vital activity of the body aggressive forms of oxygen are formed which oxidize or destroy cells, causing diseases (cancer, heart attack, etc. ), aging and death. Succinic acid can effectively neutralize free radicals. - is expressed improves the work of most organs: the brain, the heart (improves its nutrition and strength), kidneys (dissolves stones), liver, etc. - Amber acid prevents the emergence of tumors and inhibits the growth of the already existing. - Amber acid stimulates the production of insulin and thereby reduces the sugar content in the blood, which is very important for longevity. - normalizes the work of the nervous system. - Amber acid counteracts stress. - enhances the effect of other drugs. Hence, its use with other health-improving drugs will allow a more pronounced effect. - Amber acid inhibits inflammatory processes (normalizes the content of histamine and serotonin). - Amber acid increases microcirculation in organs and tissues. - activates a number of important enzymes, etc. Due to these effects, succinic acid significantly prolongs life, protects against many diseases, and some cures. All this is proved in numerous experiments. (Amber acid increases the survival rate of animals when exposed to many, usually fatal, factors). In the course of evolution, nature tried the utilities for the body the most diverse compounds and, ultimately, settled on succinic acid. Any organism and today under unfavorable conditions noticeably increases the production of succinic acid, which allows it to successfully resist the harmful effects of the environment. 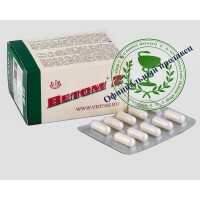 The word "succinic acid" is really an excellent thing and it is no accident that the leading scientists of Russia VN. Anisimov and M.V. Solovyov in the book "Evolution of concepts in gerontology" among just a few means, seriously contributing to the extension of life, mention it: "If you slow down the rate of aging, it is possible to increase the species limits of a person's life. (110-120 years old - note - RD). Modern ideas about the mechanisms of the geroprotective action of a diet limited in caloric content, antidiabetic biguanides, epiphysis peptides and melatonin, some neurotropic drugs (in particular, L-DOPA and deprenyl), succinic acid testify to the prospects of this approach. " Amber acid is a real gift for us. This natural substance, which is present in the body, is produced by it. When ingestion is not addictive and does not cause any special side effects. Preparations of succinic acid are cheap (there are also more expensive, complex), are sold in conventional pharmacies without a prescription. The convenience of using succinic acid is also in the fact that its effective dosage can be selected according to the state of health. The use of sufficient dosage (different tablets contain different amounts) leads to a pleasant sensation of warmth in the body, easy pleasant dizziness, etc. It is necessary to choose the dosage to an average degree of manifestation of these phenomena. Product Code: Янтарная кислота 10 табл. по 0.5 гр. Tags: Янтарная кислота 10 табл. по 0.5 гр.